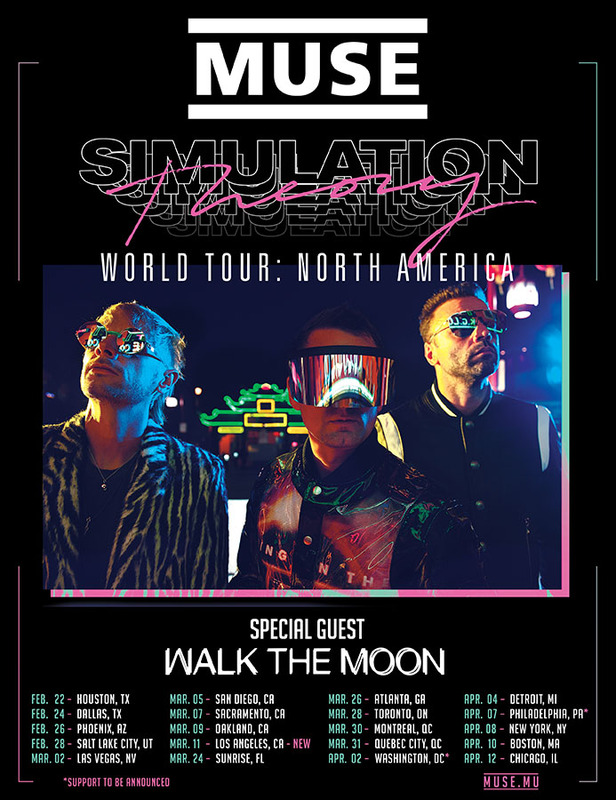 Muse are pleased to add Los Angeles to the Simulation Theory World Tour! Official Store pre-sale starts tomorrow (Tuesday January 22) at 10a PT. Codes will be delivered today via a separate email for fans who pre-ordered Simulation Theory via the Official Store. Members section pre-sale also begins tomorrow at 1p PT. Please note that you must have registered to the Members section prior to 16 January to be eligible for a code. General on sale starts Friday 25 January at 10a PT.